Hockey time in Philly. Our man Barry is there, but we are here. Anyway, the Rangers are tops in the East, and the remade Flyers are two points behind them. 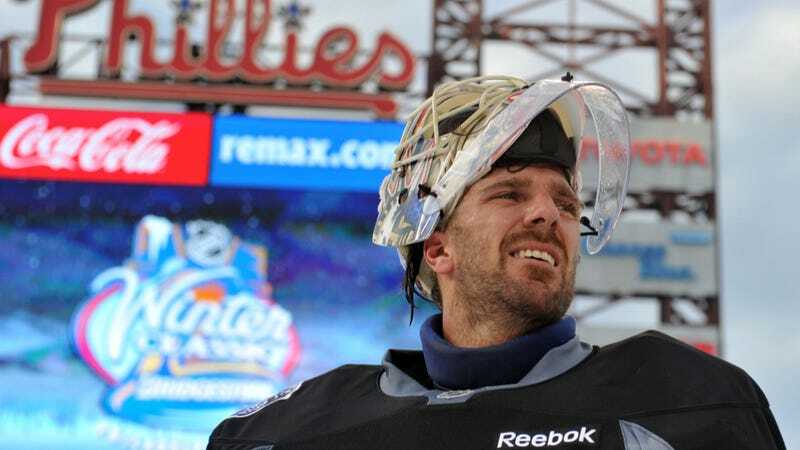 24/7 superstar Ilya Bryzgalov won't be starting for the Flyers, Sergei Bobrovsky will. Meanwhile, the Rangers waived their 24/7 superstar, Sean Avery. But the hockey should be very good. Game's on NBC, right about now.